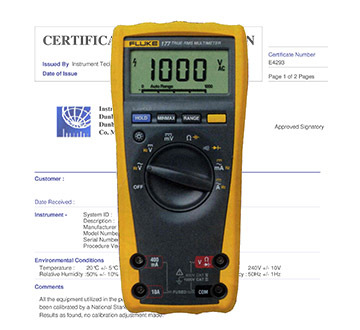 We offer in-house calibration certification for all Electrical Contractors Test Instruments required to meet the ETCI Wiring Rules. All measurements are fully traceable to recognised national or international standards. We calibrate all Electrical Testers including: Installation Testers, Loop Impedance Testers, RCD Testers, PAT Testers from all the major brands. All major brands are catered for. Calibrations performed in-house are fully traceable to recognised international standards. 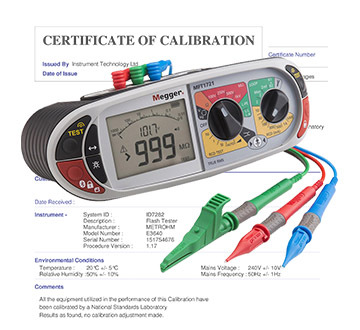 We offer fully traceable calibration certification to national standards. We have technical support staff available to discuss your requirements. Using a fully integrated software system and the latest technology in instrumentation, we are able to calibrate your instruments efficiently and at the same time log its progress through our laboratory, from the moment it arrives, to the time it is dispatched. Should your instrument be the worse for wear, we have experienced service personnel available to advise you on repair costs and parts required. © 2019 Calibrate.ie. All rights reserved.